Everyone wants clarity in their mix. However, what is your definition of clarity? Could it be that your definition has already set you up for searching an endless road of tips and tricks? Could it be that your perception of clarity has clouded what is truly important? Clarity: clearness, coherent, intelligible, transparent; "The clarity of the water lets me know that it is clean." So, from this definition we can ascertain that what we are looking for when we seek clarity in a mix, an intelligible and coherent mix. Now, here is where it gets deeper. 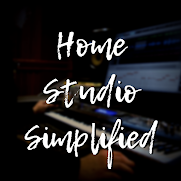 If all musicians and mixing engineers have their own subjective view of what "clarity" is then how do we know for sure if we have obtained it!? In my opinion, truth is not subjective. A thing is either true or it is not. It is true that every ear is subjective, and every audio engineer is shaping what they know as a good mix based off of the music they love. So the clarity you seek in your mix may be more bass guitar shinning through. For a guitarist it may be more lead. A drummer might say "more cowbell please". Though truth is not subjective, clarity most certainly is. Some would say, "Clarity is being able to hear every instrument clearly." While this is true to a certain extent, it is still subjective. Clarity to me is a "mud-less" mix. In fact, everyone can agree when a mix is muddy and when it is defined and unmasked by opposing frequencies all over the place. If it were simply about instruments being heard then this presents a problem. Not every instrument in the mix has to be heard at all times. Through the use of automation feeling and vibe is created. Instruments drop out and build to a crescendo at times. Therefore, this typical definition just doesn't fit with the word clarity if hearing every instrument is the only basis. The fact that every instrument is heard and sounds defined is due to separation. Separation is derived from equalization and panning, and is further influenced by a respective sound sources frequency ranges. When you seek clarity, you are really looking for a taste, a style, and your fingerprint in a mix. To obtain that you need to do several small things right. Volume levels, panning, equalization, and arrangement all play their part in creating the clarity that you are looking for. Make the best use of them and enjoy some good clean fun.